Wednesday, June 8, 2016: Pope Francis spoke to his general audience about the miracle at the Wedding Feast at Cana in light of the Year of Mercy. 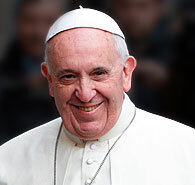 First, Pope Francis described the deep implications of Jesus transforming the water into wine. He explained how this miracle was one of the many signs of Jesus’ endless glory. He then recalled Mary’s last words in the Gospel, “Do whatever He tells you,” and explained its relevant significance. Pope Francis reminds Christians that they are ultimately called to serve and follow Christ, embracing His will. Finally, Pope Francis said that the wine is a symbol of a new and everlasting covenant between Jesus and His followers. The full address can be viewed here. How to practice resolution techniques before you have a major dilemma on your hands.